Most homeowners understand that asbestos fibers are dangerous and can cause serious illness. From the late 1930s until the early 1970s, asbestos containing insulation was used in the majority of homes in the United States. However, research scientists put an end to the usage of asbestos containing insulation after discovering that there was a direct correlation between the long-term inhalation of asbestos fibers and major health problems like mesothelioma, lung cancer, and asbestosis. Although asbestos containing insulation is easy to spot and no longer used in American homes, there are other, less obvious, ways that asbestos fibers are used in construction, creating the potential for serious illness often resulting in death. One of these is joint compound. The International Journal of Occupational and Environmental Health published a report in 2012 about the link between mesothelioma and the usage of drywall joint compound in private and commercial projects during the 1950s through the 1970s. The authors, James Dahlgren and Trevor Peckham, concluded that physicians treating mesothelioma should review their patient’s history of exposure to these products during work or home remodeling. While the U.S. Consumer Product Safety Commission (CPSC) prohibited the sale of consumer patching compounds containing asbestos (1977), many older homes and businesses continue to have old dry wall where asbestos containing joint compound was used. And, with the Environmental Protection Agency (EPA) saying there is no safe level of asbestos exposure, a lot of people are unknowingly putting themselves at risk for developing mesothelioma. Joint compound is used by construction workers to finish the seams between sections of drywall. After builders nail up drywall, they use paper drywall or joint tape to cover up the gaps between adjacent pieces of drywall. Joint compound is applied over the wall tape to create an even, continuous wall surface. A lot of builders use multiple coats of joint compound when smoothing out a surface. They let the first coat dry and then sand it down before adding a second layer. Joint compound is also frequently used to patch up cracks, fill up drywall holes, and smooth over any rough spots. Joint compound can be purchased as a dry powder, where the user mixes it with water, or as a pre-mixed paste. Drywall tapers and other construction workers were exposed to asbestos fibers when mixing dry-powdered joint compound paste with water. Workers were routinely exposed to airborne asbestos fibers when adding multiple coats of asbestos containing joint compound to a surface. Homeowners and bystanders were also vulnerable because of airborne asbestos fibers that made breathing around the jobsite a dangerous activity. Asbestos is so dangerous, that anyone who comes into contact with asbestos containing joint compound is exposing themselves to airborne fibers that could cause mesothelioma. Before World War II, lath and plaster were predominantly used to construct interior walls. However, once workers learned that drywall was faster and more cost-effective, using it became the industry standard. While joint compound is currently created using talc, silica, calcite, gypsum, and/or mica, until the 1970s, most joint compounds contained chrysotile asbestos which made up 5-15% of the product’s overall weight. Construction workers and drywall specialists have the highest risk for Mesothelioma and other cancers because of the long hours spent around drywall and asbestos containing joint compound. Studies measuring asbestos exposure from joint compound show asbestos exposure levels well above the Occupational Safety and Health Administration’s (OSHA) current permissible exposure limit (PEL) of 0.1 asbestos fibers per cubic centimeter with an 8 hour TWA, as well as past historical exposure limits. Because construction workers and drywall specialists were exposed to extreme levels of asbestos fibers, a rash of mesothelioma diagnoses have resulted. There are three common forms of mesothelioma, and each one comes attached with a dire prognosis. Pleural Mesothelioma is found in the lungs and is the most common form of this particular cancer. It is caused by the inhalation of asbestos fibers. Peritoneal Mesothelioma is found in the abdomen and is caused by inhaled or swallowed asbestos fibers that become trapped in the lining of the abdomen. Pericardial Mesothelioma is found in the heart and is caused when asbestos fibers get caught in a person’s pericardium, the lining around the heart cavity. While asbestos containing joint compounds are no longer sold and marketed to the American public, construction workers remodeling older buildings and homes are still vulnerable to breathing in toxic asbestos fibers. When workers or homeowners cut into existing drywall where asbestos containing joint compound was used, there is potential for asbestos fibers to be released into the air. Studies from the 1970s and 1980s also show that there is a risk for Mesothelioma even when proper procedures for joint compound are followed. It is important that construction workers and do-it-yourselfers take great care when cutting into existing drywall and remain as safe as humanly possible. If a person has been exposed to asbestos fibers and developed mesothelioma, it is important that they retain the services of an experienced attorney who can determine whether or not the property owners were negligent and ignored current safety standards. While it takes decades for symptoms of mesothelioma to appear, the responsible party deserves to be held accountable, and financial settlements are often a part of this accountability. 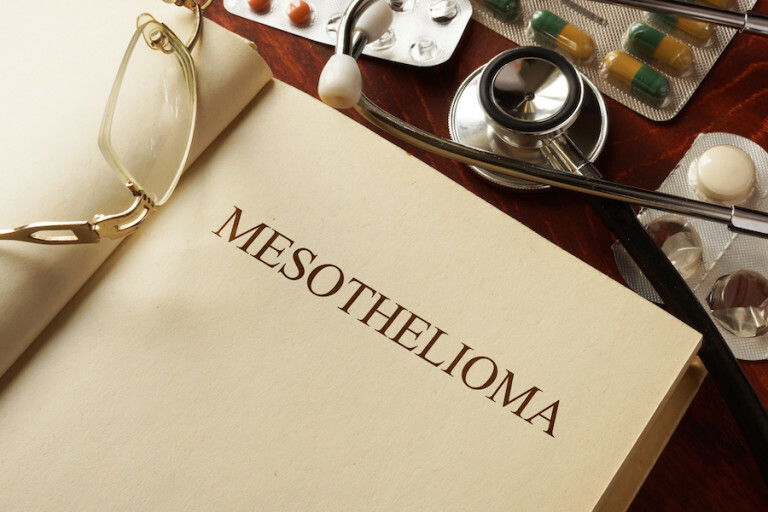 If you or a loved one has developed mesothelioma, contact the experienced lawyers at MesoLawyersCare by dialing the phone number on this page or by chatting with us instantly on this page.